Pommies Apple Pie » Pommies Cider Co. 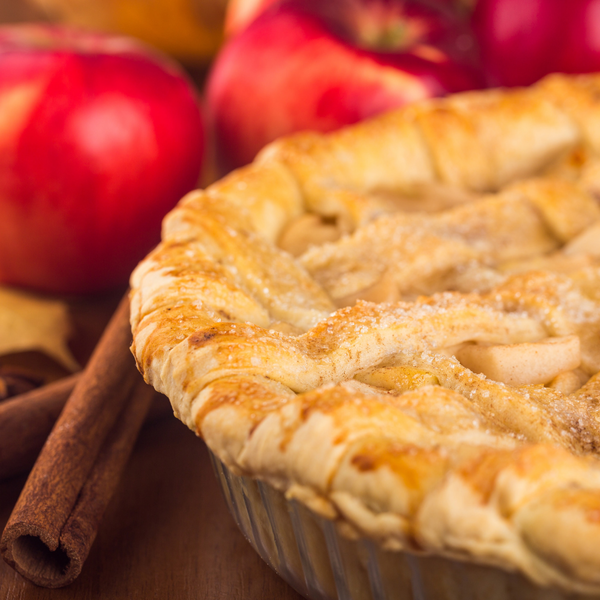 Enjoy this easy-to-make recipe...a classic apple pie, with a Pommies twist. Cut the apples into 1/4 inch slices. In a mixing bowl, combine the Pommies, white sugar, brown sugar, cinnamon, flour and salt. Mix. Pour the sauce over the apples and stir until the apples are covered. Line one crust in a 9 inch metal pan. Place the apples in the pie crust. Dot with butter. Cut the top crust into one inch strips. Place over apples for lattice look. Pour the remainder of the filling over the crust. Bake on 400 degrees F for 15 minutes. Reduce heat to 350 degrees F and bake for approximately 40 minutes or until crust is golden brown.